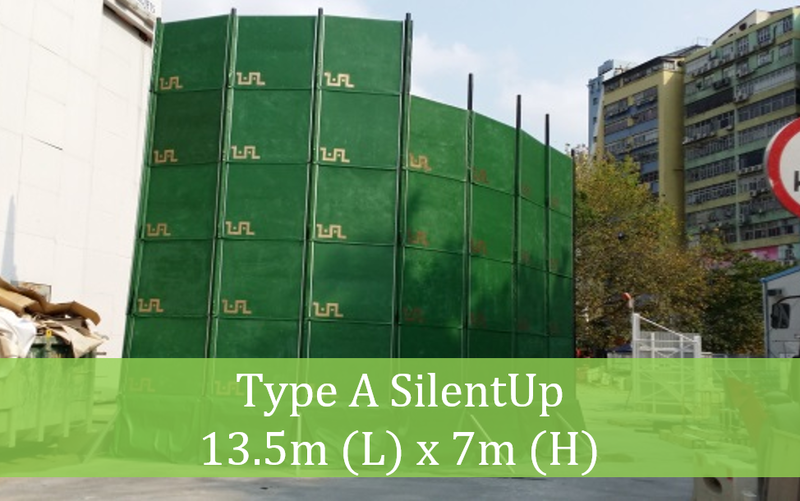 Construction Noise Permit (CNP) was granted by Environmental Protection Department (EPD) for concreting works with the help of 186m2 SilentUp forms an U-shape noise barrier to provide screening for concrete pump and concrete lorry mixer. CNP was granted by EPD for Prescribed Construction Work (PCW) and concrete lorry mixer. 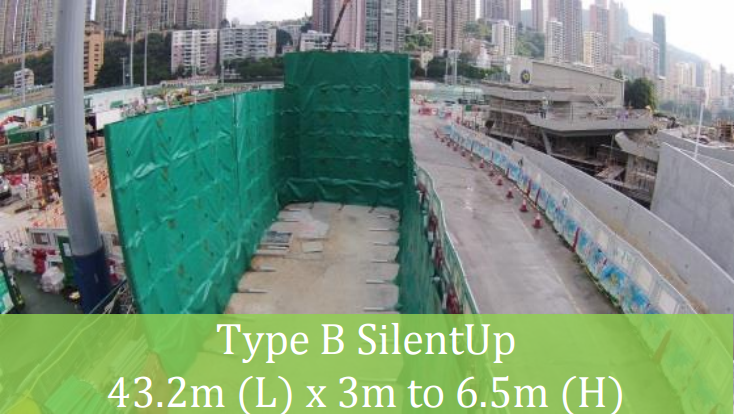 The 312m2 SilentUP was used to provide noise screening for PCW (hammering, handling of steel bar and rubble) and Concrete lorry mixer for concreting works in Hung Hom. CNP was granted by EPD for PCW on Sunday. The 119.4m2 SilentUp provide the noise screening for PCW with the use of excavator and dump truck for muck out operation in Diamond Hill. CNP was granted by EPD for road works in Bonham Road. 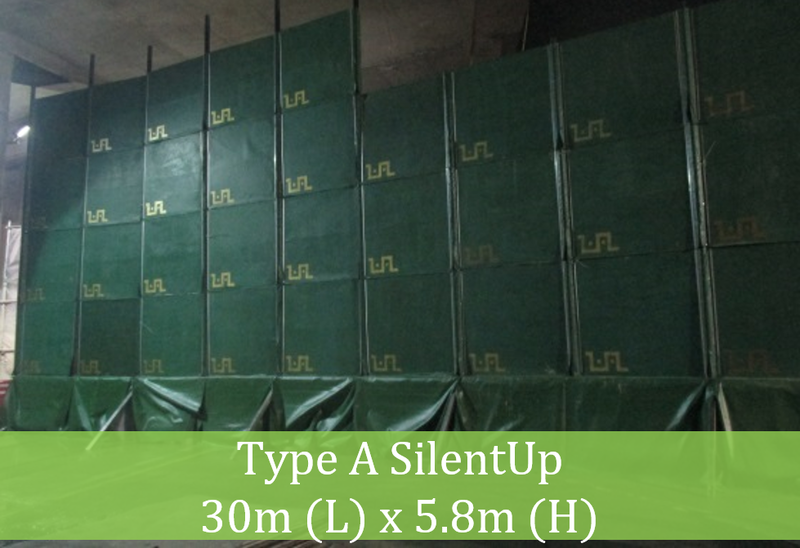 SilentUp provide mobile noise screening for excavator and rubble handling between barriers and handled breaker inside enclosure. 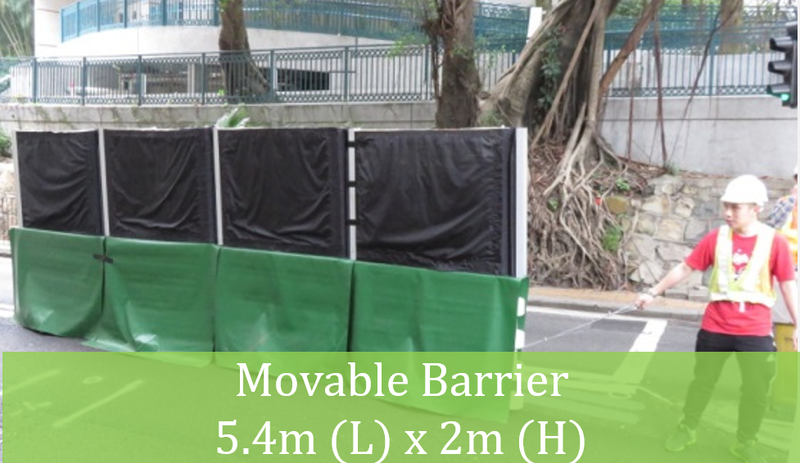 Also, the 2m high Movable Noise Barrier with wheel mitigate noise of road concreting works. 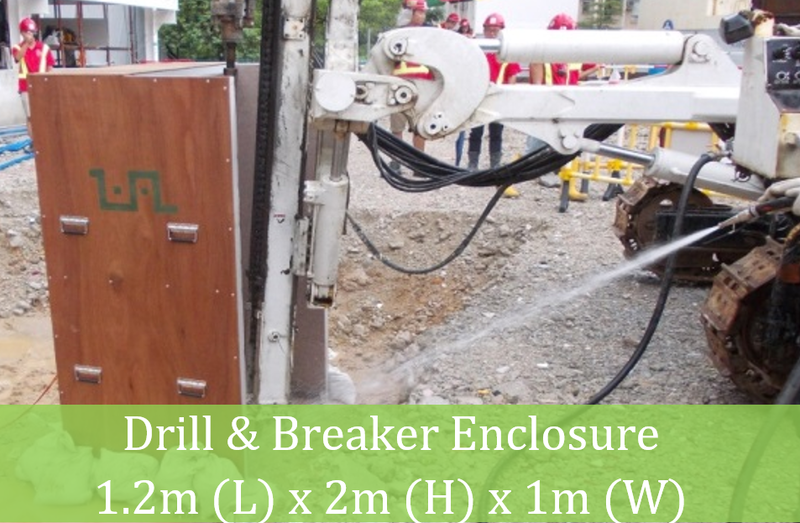 The 19.4m2 SilentUp and Drill & Breaker Enclosure were used provide noise screening for the excavator and drilling machine in Pak Tin Estate to fulfill Hong Kong Housing Authority (HA) requirements.